Christmas is a special event that is celebrated annually by many people of different ethnicities, cultural backgrounds, and financial status. This is traditionally observed with foods. It is a festive event gathered by family and close friends. If you are vegetarians, or expect some visitors who are strictly eating meat-free foods, it is best to prepare all-veggie recipes. The list of recipes below is ideal foods for vegetarians. They are not just healthy but delicious foods that everyone will surely like. This type of canapé is a good lunch to serve on Christmas. It can also be a mouth-watering snack to eat on the same day. 1. Pour oil in a pan and heat. 2. Add cumin seeds and fry, until they pop. 3. Turn off the heat. Add peppers in the pan. Combine to coat with cumin seeds. Set aside. 4. Toast each crostini (optional). 5. 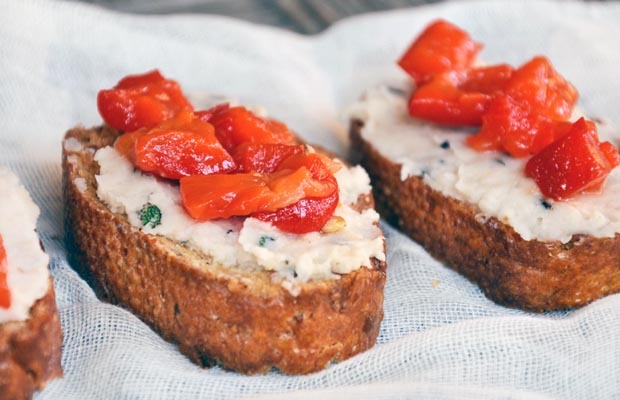 Spread goat cheese on top of each crostini. 6. Top the cheese with peppers. 7. Garnish with thyme or basil leaves. This recipe is a good choice for lunch or dinner on Christmas. It is crispy, toasted, and delivious treat for your family and guests. 1. Heat oven to 180-degree Celsius, 160-degree Celsius fan, 350-degree Fahrenheit, gas 4. 2. Place foil in a roasting tray. 3. Pour mushrooms in the tray. 5. Seal and bake for about 15 minutes. 6. Unroll the foil to add cheese and then onions respectively. 7. Cover and bake again for additional 10 to 15 minutes. 8. Remove from the oven and place in a plate or platter. 9. Garnish with thyme sprigs. 10. Serve with green salad of our choice. Christmas festivity includes pie. But if you’re tired of apple pie and other common flavors, try artichoke and cheese instead! 1. Heat oven to 200-degree Celsius, 180-degree Celsius fan, 400-degree Fahrenheit, gas 6. 3. Add onion and stir fry for 3 minutes. 4. Increase heat. Add wine. 5. Reduce heat and add double cream. 6. Turn up the heat as you add artichoke hearts. Cook for 5 minutes. 7. Add cheese. Continue stirring. 8. Pour filling into the pie dish. Chill for 15 to 20 minutes. 9. Brush the lip of the dish with egg. 10. Cut a pastry strip and place on the lip of the dish. 11. Brush egg all over the pastry strips. 12. Trim edges and cut a steam hole to design. 13. Glaze with more egg. 14. Bake for 20 minutes, or until the pastry becomes crisp and golden. 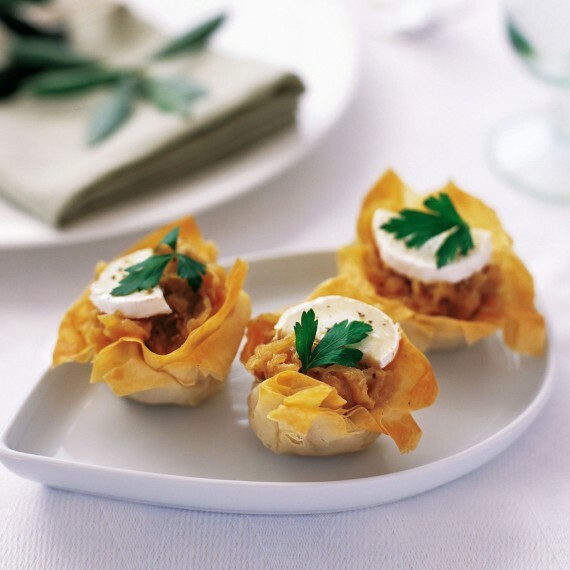 To add your Christmas table, try this recipe of tartlets that feature mushroom and goat cheese. 1. Cut pastry into 8 to 10 rectangles. Score a rectangle around 1/2-inch. Decorate the outside edge. 2. Brush the edge with egg yolk. Chill in the refrigerator. 3. Pour oil in a pan. Add butter and melt. 4. Add shallots and fry for about 5 minutes. 5. Add garlic and cook for additional 2 minutes. 6. Turn up heat and add mushrooms. Cook for more 5 to 7 minutes. 7. Separate the juices and place in a colander. Put the juice into a bowl. 8. Add crème fraîche and tarragon. Mix to combine. Add some seasonings. 9. Preheat oven to 200-degree Celsius, 180-Celsius fan, 400-degree Fahrenheit, gas 6. 10. Place pastry rectangles on baking sheets. 11. Put mushroom, dividing equally. 12. Top with goat cheese. 13. Bake for 20 minutes, or until the pastry is crisp and golden. 14. Remove from the oven. Top with grated Parmesan cheese. Another type of pastry that you can prepare for this holiday festivity is lasagna. Instead of meat and tomato sauce, opt for spinach and mushroom. 1. Preheat oven to 200-degree Celsius, 180-degree Celsius fan, 400-degree Fahrenheit, gas 6. 2. Melt butter in a pan and stir. 3. Pour milk with turn heat down. Continue stirring. Remove from heat. 5. Pour in a bowl and set aside. 6. Soak porcini mushrooms in hot water. 7. Melt another round of butter in a pan. 8. Add garlic, and then mushrooms. Mix well. 11. Drain the liquid off. 12. Place lasagna on an overproof dish. Add mushrooms and spinach. Add sauce. Repeat the process to make layers. 14. Bake for 20 minutes. 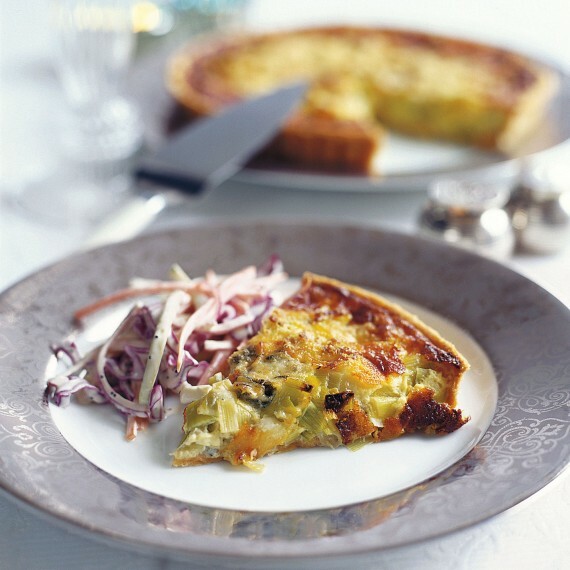 For some dessert, you can try this veggie tart. 1. Place pastry on the tin. Put in the fridge and keep there for 20 minutes. 2. Preheat oven to 200-degree Celsius, 180-degree Celsius fan, 400-degree Fahrenheit, gas 6. 3. Line pastry with baking parchment. 6. Remove the beans and baking parchment. 7. Put the tin back to the oven. Reduce the temperature to 180-degree Celsius, 160-degree Celsius fan, 350-degree Fahrenheit, gas 4. 8. In a pan, melt butter. 9. Add leeks and cook. Drain. Put in a bowl. 10. In another bowl, beat egg yolks and combine with cream. Mix well. Season. 11. Add the egg yolk mixture to the bowl of leeks. 13. Fill the pastry case with the Dolcelatte and egg yolk mixture. 14. Sprinkle with Parmesan cheese. To add your dessert or dinner treat, try this cauliflower cheese recipe. It will also be a delight for children and teens! 1. Steam cauliflower but do not boil. Drain. 2. Add some bay leaves. Set aside. 3. Grill bacon. Set aside. 4. Melt butter to make sauce. 5. Add flour into the butter, and stir. 6. Pour milk and whisk to combine. 7. Add cheese, cayenne, mustard, and season. 9. Place cauliflower into a heatproof dish. 11. Season with bacon and tomatoes on top. 13. Add more cheese on top. 14. Grill until the top is browned. These delightful recipes are a good means to treat your family and guests who love veggies! They can make their appetite full and satisfied, which is one great way to celebrate Christmas. You must try some or all of these foods recipes this coming Christmas, and do some things that are beyond norm or traditional. Who else need roasted turkey if these can provide you some tasty treats? Next post: 5 Veggie Recipes for Christmas Party!